This book presents design techniques for a wide variety of low-pass, band-pass, high-pass, and band-stop microwave filters, for multiplexers, and for certain kinds of directional couplers. The material is organized to be used by the designer who needs to work out a specific design quickly, with a minimum of reading, as well as by the engineer who wants a deeper understanding of the design techniques used, so that he can apply them to new and unusual situations. This is a series of online textbooks covering electricity and electronics. The information provided is great for both students and hobbyists who are looking to expand their knowledge in this field. The books are updated over time. This volume is divided into two parts. Part I comprises four chapters which review the current state of the art in different areas of research on 2D materials and devices. Part II deals with specific important aspects of 2D materials and devices. 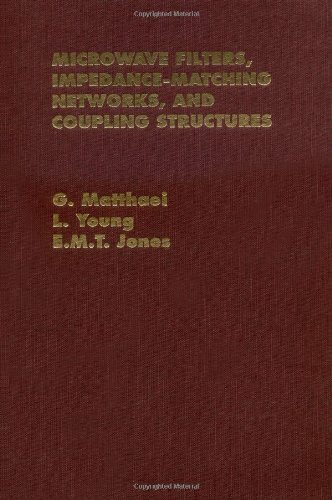 Contents: Network Equations; Network Theorems; Networks with Inductors and Capacitors; Network Analysis using Phasors; The Laplace Transform in Network Analysis; The Fourier Series and Fourier Transform; The Frequency Response of Networks; etc. This material is intended to provide meaningful experience in electronic amplifier analysis for students of modern technology. The topics included provide exposure to basic principles of solid state devices, amplifier circuits and applications.